1. 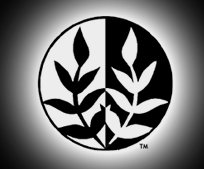 Why do I need landscape lighting? There are literally hundreds of reasons to get landscape lighting installed in your yard, but the most important four are safety, security, beauty & value. 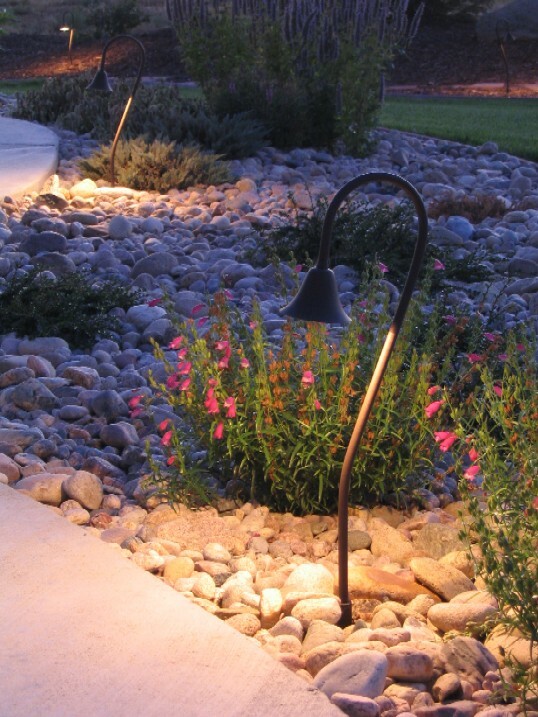 Safety: Landscape lighting is imperative to illuminate pathways, stairways, driveways and other areas of travel. Without light neither you nor your guests can see adequately to ensure safe travel throughout the landscape. Security: It’s a well-publicized fact that houses that are lit are many times less likely to be burglarized than those that aren’t. Luminary Lighting employs timers & photo-cell technology to ensure that your outdoor lighting system comes on when it gets dark, whether you’re around to turn it on or not. This way, no one has to know that you’re on vacation, or just home late from work. Beauty: What better way to enhance the detailed architecture of your home or the beautiful form of your landscape than with landscape lighting? You will never get bored with the breathtaking drama low-voltage lighting provides to your home and yard. Value: Save the money of having all of your energy draining fixtures on at night and have peace of mind knowing that while using a fraction of the energy of typical incandescent lamps your low-voltage system is safely & effectively welcoming you home with its soft warm glow. Safety: Unlike 120-volt (line voltage) electricity, 12 volt (low-voltage) wires & connections are completely safe to be handled and pose no shock or electrocution hazard to humans or animals when installed properly. We only install power centers that are designed specifically for outdoor applications. Flexibility: No permits or inspections are required for low-voltage lighting installation, and the safe, direct-bury wires are laid in relatively shallow, hand-dug trenches, so if you don’t like the location of a light fixture, it is simple for us to relocate or remove it. A full line of outdoor lighting products designed for rugged use give the added flexibility of a variety of lighting effects and applications. Value: The amount of energy consumed by a low-voltage lighting system is a fraction of what a standard line voltage system consumes. Further, the xenon or halogen lamps installed in your outdoor lighting system typically last thousands of hours longer than standard incandescent bulbs. Systems operate on timers or photo cells to maximize their effective use. Finally, because low-voltage systems don’t require the permitting and inspections necessary for line-voltage installation, you save time and money in the install process. 3. Will installing my lighting in my existing landscape tear up my yard? 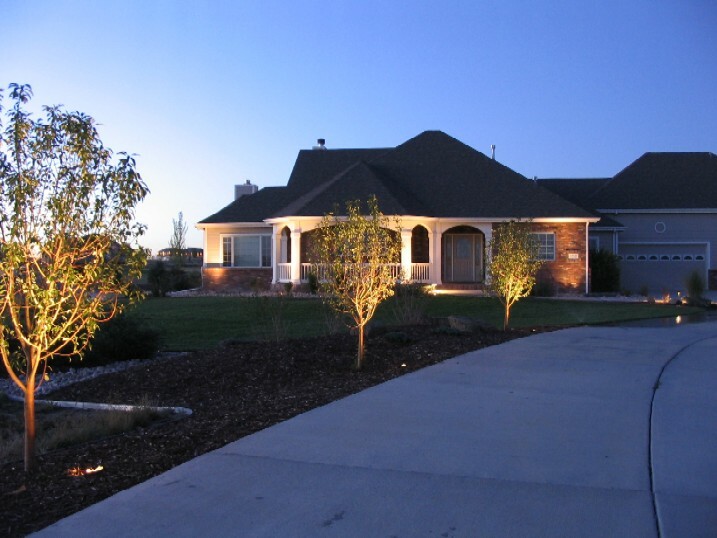 Landscape lighting installation is minimally invasive to existing landscapes so it can easily be installed at any point in your landscape’s completion. In fact, waiting until your yard is complete often allows you to get a better sense of how to customize your lighting system to the way you utilize your yard. 4. When it comes to light, isn't brighter better? It depends on the application, but in the landscape, usually, no. The rule of thumb with outdoor light is the brighter it is, the more glare it creates & the darker the shadow will be. Obviously, lights that blind you or shine in an obtrusive way are not only unsafe, but they also annoy neighbors & guests. Further, dark shadows outdoors are not a good thing, as it gives prowlers someplace to hide. Remember, indoor and outdoor lighting often serve completely different purposes, because we have different needs indoors and out. Consider that you are usually not reading a book at night in the middle of your lawn and you usually don’t have to chop tomatoes, do homework or perform other detail-oriented tasks out in your landscape. As a result, you don’t need tons of light to create a sense of drama, atmosphere or definition to your yard. There are areas of your yard where you may need more light than others, but we take all of that into consideration in your design consultation and then we implement a photometric based plan (photometrics is the science of light output & distribution) that uses the least amount of light necessary to achieve the result you want. By sticking to this premise, you will keep your neighbors happy, your costs down & you will wind up with an exciting, new, dramatic outdoor environment at night. 5. What's wrong with the solar lights from the home improvement store? Function: First, take the time to consider why you are installing lighting in the first place. For most people it’s to illuminate a dark or poorly lit area of their yard, path, driveway or entry that is difficult or unsafe to traverse at night. Sadly, solar lights do not cast enough light to illuminate anything but the fixture itself, which necessitates the installation of dozens of the fixtures in a row as more of a visual barrier than an enhancement to your yard. The resulting effect is anything but aesthetically pleasing, unless you enjoy the look of an aerial landing strip in your front yard. Usually, with one or two strategically placed quality fixtures, the same path becomes beautifully and subtly illuminated, and rather than being guided by a row of glowing blue posts, you can actually see the form & contours of the path itself. 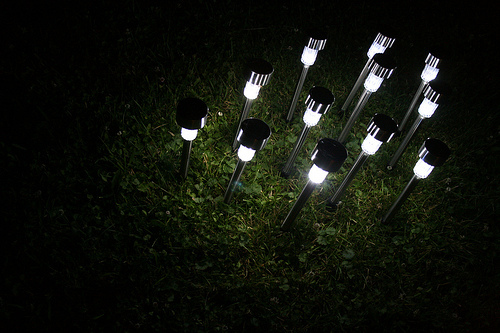 Durability: The solar lights are typically a fraction of the price of a quality low-voltage fixture, but all it takes is a brief encounter with a lawn mower, snow shovel, or weed eater to understand why. The plastic fixture weakens over time and exposure to the elements and is only designed to last a couple of years at the longest. All of the quality fixtures we install come with a minimum 10 year full replacement warranty and are designed to stand up to whatever is thrown at them. Selection: Depending on the brand, the low-cost fixtures come in just a few styles, limiting their application to pathways & uplights. A true quality low-voltage lighting system offers fixtures in hundreds of styles and types, from path lights to spotlights, up-lights, down-lights, and everything in between. If there isn’t a style that matches your unique application, our distributor will build one based upon our specific design specifications. The options become even more vast when you consider that all of the fixtures can be lamped according to their unique application or photometric requirements as well, something you’re never able to do with the home improvement store lights. Lighting shouldn't look like a freeway guardrail or airport landing strip. You should simply notice the effect of the light, not the source. Note the color and quantity of light cast by these fixtures and contrast it with any of the other photos on this site. 6. I know I want low-voltage lighting. What's the next step? First, contact Luminary Lighting and Design to schedule your free no-obligation lighting design consultation. In this meeting, we sit down with you to evaluate how you use the outdoors now and how you wish to use it in the future. 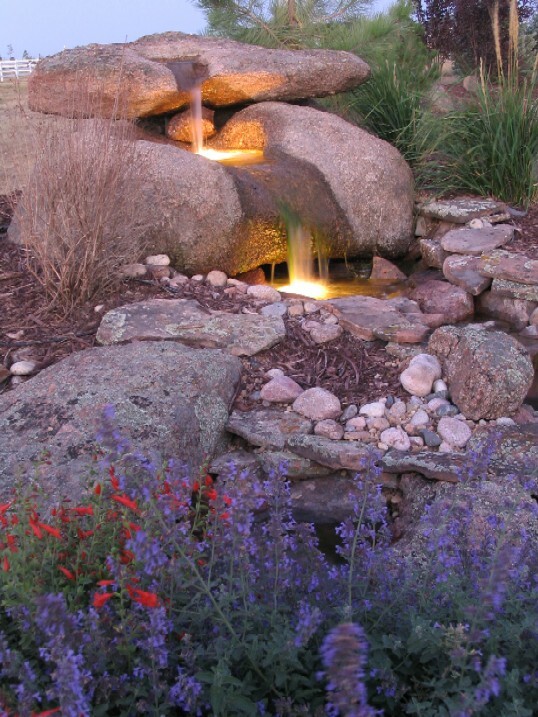 We also identify any special features in your yard that you’d like to isolate as focal points at night. From this discussion, we will craft a plan for how best to light your yard. We discuss design and style elements at this meeting, as well as some of the features of the products we install. Finally, we will submit to you an itemized estimate based upon our lighting design recommendations and the priorities we discussed. Depending on the scope of the project, normal installation usually takes from one to three days and is minimally invasive to your landscape. After the system is installed, we come back after dark to point the lights and make sure they are achieving the effect we agreed upon.